Nicolas TRIERWEILER was born on 6 April 1764 in Olk, a small German village located about 5.5 km (3.4 miles) from Rosport in the Grand Duchy of Luxembourg. Nicolas was the son of Johann Gerard “Gerardus” TRIERWEILER and Elisabetha KERSCH. He had a brother and three sisters as well as five half-siblings from his father’s first marriage to Maria Magdalena “Madeleine” GANZ. It is not known at this time when his parents died. Nicolas was a farmer (Ackerer) in Olk. The area had good arable fields and numerous streams; the wide valleys were well suited for grazing. The name of the village probably originated from the Roman-Celtic word Olca, a term for fertile farmland. Nicolas married Catharina HOFFMANN, daughter of Carl HOFFMANN and Angela ROSPORT, on 8 March 1791 in Welschbillig, to which Olk belonged. Catharina was born and baptized on 18 January 1764 in Girst, Grand Duchy of Luxembourg. Her godparents were Wilhelmus HECKER and Catharina MILBACH of Girst. When I found this baptismal record I was reminded that the information found in the family book compilations are wonderful for finding the families but events and dates have to be checked. The entry in the Family Book for Welschbillig, which includes families for Olk, incorrectly listed her date of birth as 1 August 1764.Catharina’s father died when she was about 16. A death record has not been found. His death has been estimated at before 1780 as this was the year of his widow’s next marriage. 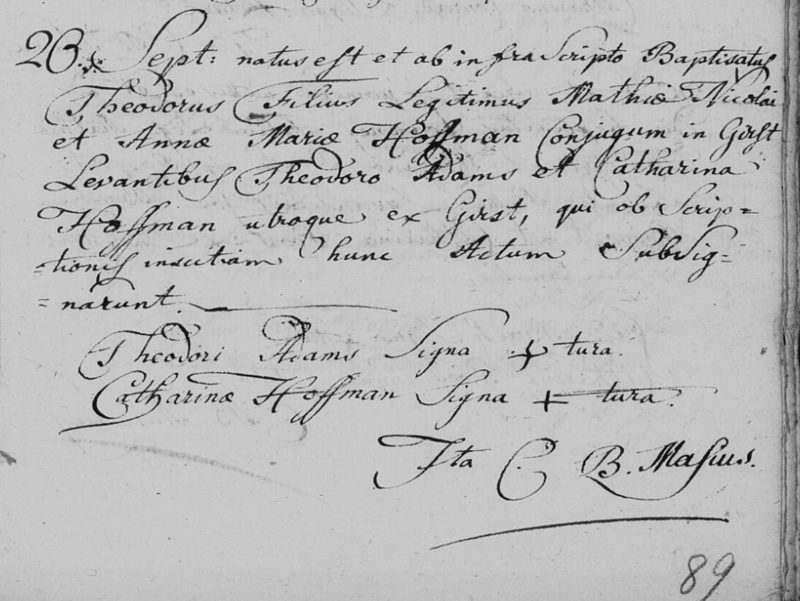 Catharina’s mother, Angela ROSPORT married Theodor ADAMS on 26 January 1780 in Rosport. Two years later, Catharina, at the age of 18, became a godmother for her sister Anna Maria’s son Theodor NICOLAI on 20 September 1782 in Girst. Her step-father Theodor ADAMS was the godfather of the child. The record is written in a beautiful handwriting. Matthias was born on 23 May 1791 in Olk. He married Anna (Angela) LUDOVICI before 1815. They had 10 children from 1815 to 1837. Matthias died on 4 May 1843 in Olk. His wife Anna died on 7 February 1856 in Olk. Peter “Petrus” was born on 27 January 1793 in Olk. He worked as a farmer (Landwirt). Peter married Susanna LUCAS, daughter of Bernardi LUCAS and Odiliae HAMM, on 1 March 1824 in Mesenich. He died on 19 November 1835 in Metzdorf. His widow remarried after his death. Anna was born on 22 July 1794 in Olk. She married Mathias SCHWARTZ, son of Lorentz “Laurentius” SCHWARTZ (1791-1860) and Magdalena HALER, on 17 January 1820 in Osweiler. She died on 21 March 1853 in Osweiler. Anna and Mathias were my children’s ancestors. Susanna was born on 19 April 1796 in Olk. She married Matthias KIRSTEN (1801-1846) on 19 October 1825 in the parish of Welschbillig. She died on 3 October 1845 in Ruwer. Klemens-Christoph was born on 1 November 1797 in Olk. Nothing further is known. Maria Eva was born on 14 September 1800 in Olk. She married Heinrich MERTES (1792-1859) on 10 February 1836 in Ruwer. Heinrich was a widower with four children. Maria Eva died on 1 October 1845 in Ruwer. Peter was born on 9 April 1805 in Olk. Nothing further is known. Bride’s section on the 1820 Marriage Record of Anna TRIERWEILER and Mathias SCHWARTZ. Richard Schaffner, Familienbuch der Pfarrei St. Peter Welschbillig 1800-1900 mit Möhn, Olk, Träg, Helenenberg, Aspelt, Schwarzkreuz und Windmühle, compiled 1998, page 319, family nr. 1488 from Olk. Trierweiler-Hoffmann family group. Luxembourg, registres paroissiaux, 1601-1948 (images), FamilySearch (original records at Luxembourg National Archives, Plateau du Saint-Esprit, Luxembourg), Rosport > Baptêmes 1740-1779, 1795-1796, confirmations 1740-1765, mariages 1778-1779, 1795-1796, sépultures 1779-1797 > image 27 of 79. 1764 Baptismal Record (right page, 4th entry). (https://familysearch.org/ark:/61903/3:1:3QS7-L9WM-S92L?cc=2037955&wc=STHZ-HZ6%3A1501108227%2C1501108228 : 9 January 2015). Ibid., Rosport > image 22 of 172. 1780 Marriage Record. (https://familysearch.org/ark:/61903/3:1:3QS7-L9WM-S9ZN?cc=2037955&wc=STHZ-HZV%3A1501108227%2C1501117286 : accessed 27 February 2017). Ibid., Rosport > Baptêmes 1778-1793, mariages 1778-1793, sépultures 1779-1793 > image 41 of 172. 1782 Baptismal Record. (https://familysearch.org/ark:/61903/3:1:3QS7-89WM-S9QK?cc=2037955&wc=STHZ-HZV%3A1501108227%2C1501117286 : accessed 3 March 2017). Ibid., Rosport > Baptêmes 1778-1793, mariages 1778-1793, sépultures 1779-1793 > image 170 of 172. 1793 Death Record (right page, 4th entry). (https://familysearch.org/ark:/61903/3:1:3QS7-L9WM-SKF?cc=2037955&wc=STHZ-HZV%3A1501108227%2C1501117286 : accessed 27 February 2017). Family Book Welschbillig, page 320, family Nr. 1490 from Olk. Trierweiler-Ludovici family group. Heinrich Wagner, Familienbuch Mesenich 1705-1899 (Ortschaften Födlich (1705-ca.1800), Grewenich, Mesenich, Metzdorf und Moersdorf (Luxembourg) (1705-1807)), Mersch 1997 (Association Luxembourgeoise de Généalogie et d’Héraldique), page 319, family nr. 1170. Peter Trierweiler and Susanna Lucas family group. Luxembourg, Registres d’état civil, 1662-1941 (images), FamilySearch (original records at Luxembourg National Archives, Plateau du Saint-Esprit, Luxembourg), Rosport > Naissances, mariages, décès 1800-1815 > image 280 of 385. 1820 Marriage Record. 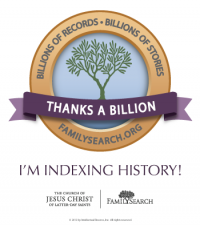 (https://familysearch.org/pal:/MM9.3.1/TH-266-11676-83258-61?cc=1709358&wc=9RYS-JWL:130314401,130827901 : accessed 11 April 2013 and 22 July 2015). Luxembourg Civil Records, Rosport > Décès 1853-1891 > image 4 of 510. 1853 Death Record No. 13. (https://familysearch.org/pal:/MM9.3.1/TH-266-11627-96341-81?cc=1709358&wc=M9M6-L62:1818144340 : accessed 19 May 2011). 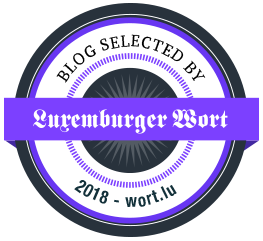 Armin Giebel, compiler, Familienbuch Standesamt Ruwer-Waldrach, (Stand: Sept. 2016), family nr. 8268. Matthias Kirsten and Susanna Trierweiler family group. Ibid., family nr. 11469. Mertes Heinrich and Trierweiler Maria Eva family group. Another example of your impressive research. Bravo! Thank you, Amy. Not satisfied with this one but we all have branches in our trees like this.